Auto Photo Editor - Image processing, image resizer, graphic converter, photo editor, picture editor, image editor, editing photo, remove red eyes. 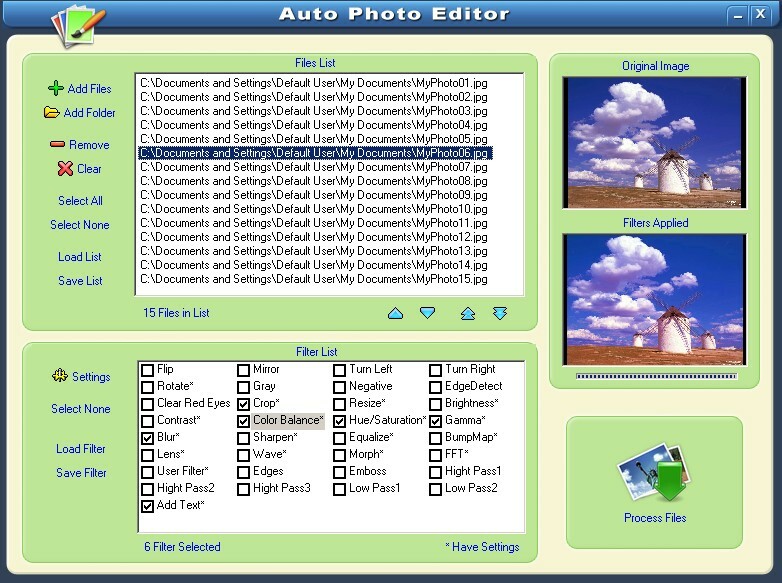 Auto Photo Editor frees you from these repetitive tasks by processing hundreds, or even thousands, of photos with a single drag-and-drop. You can save images in all popular Internet formats, include tif,gif,jpg,pcx,bmp,psd,ico,cur,png,wmf,emf,tga,pxm,wbmp,jp2,j2k,dcx,crw and over 100 more graphic file formats!